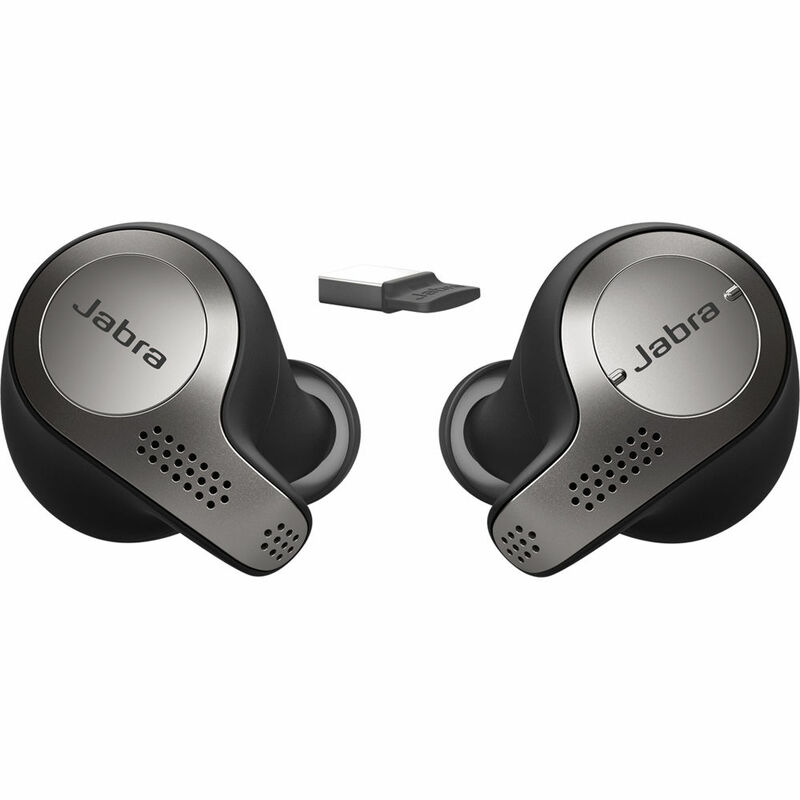 Jabra EVOLVE 65T MS Stereo earbuds is Microsoft Skype for Business Certifieid for users who needs to communicate with computer Skype for Business softphone or just listen to music. 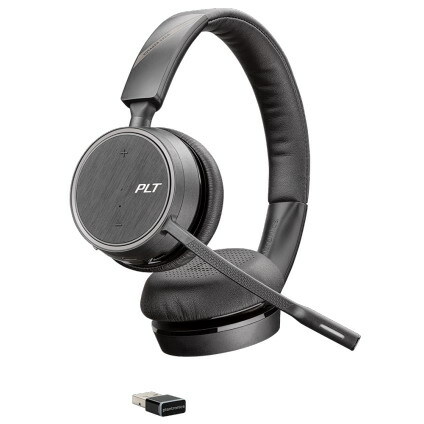 It has noise-canceling microphones to block out background noise. 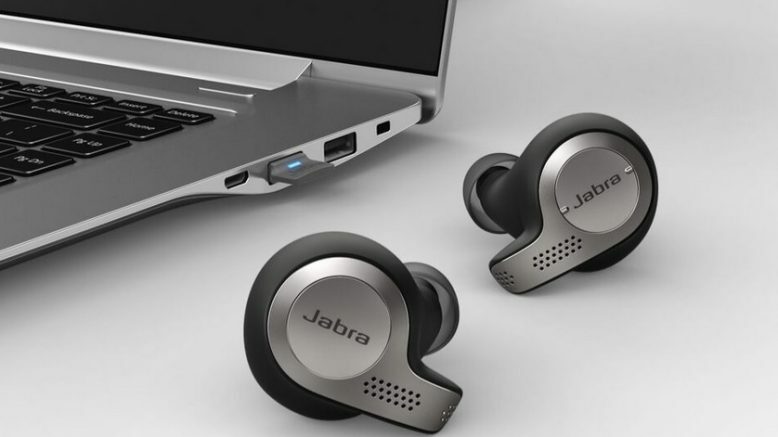 Jabra EVOLVE 65T MS connect PC using the Jabra Link 370 MS USB dongle. 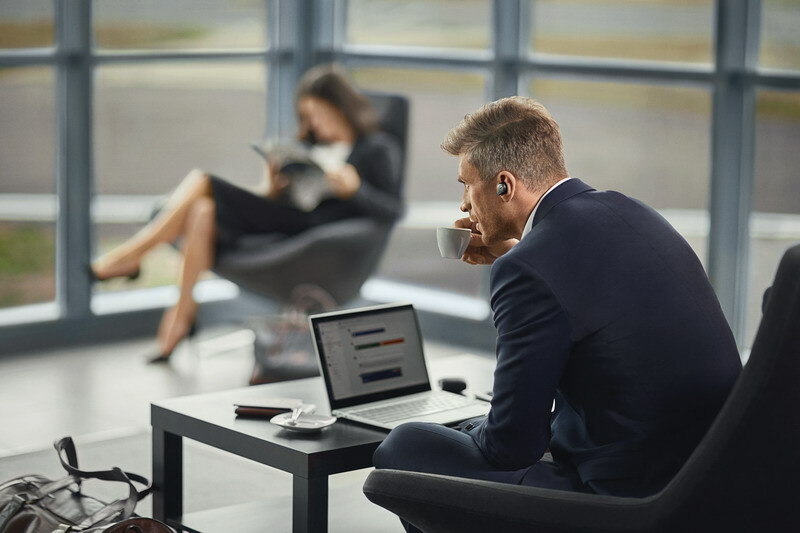 As well as connect to any Bluetooth enable device just as a smartphone. 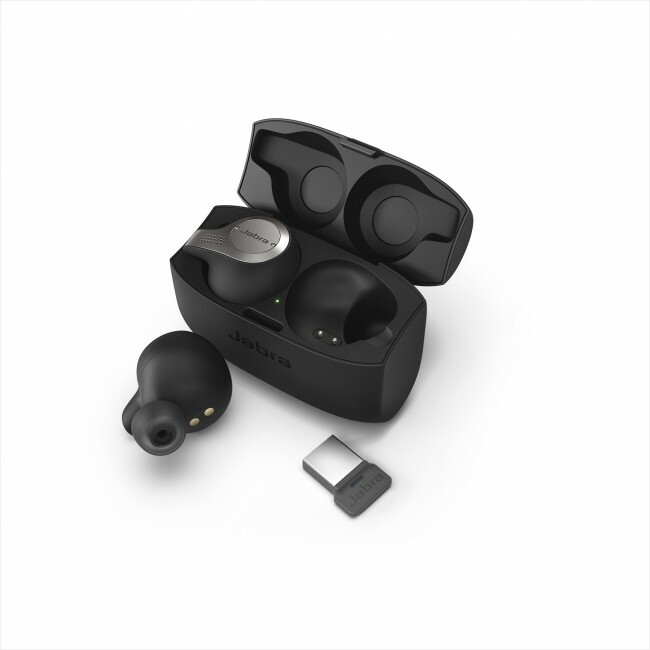 These earbuds are great for workouts or simply for music. When fully charged, it has 5 hours of battery time or 15 hours when the charing case is used. .
One-Touch voice control for Amazon Alexa, Apple Siri, Google Assistant. Charging case, micro USB cable, 3 sets of silicon EarGels, Pouch, Jabra Link 370, Quick Start Guide, Warranty and Warning Leaflets.